[S15] 1930 (April 1) U.S. Census, Chippewa Falls, Chippewa Co., WI, ED 9-17, Sheet 5A (stampe 162). [S884] Danni Monn Hopkins, "Monn, Williams, Guilliams, Addis, Suydam, Wyckoff, Tuttle and Many More Families," database made available on-line courtesy of Danni Monn Hopkins, http://wc.rootsweb.ancestry.com/cgi-bin/igm.cgi?op=REG&db=dannimonn&id=I57288, database put on-line 23 June 2009. [S946] Roy Girard, "Ball Furneral Obits Canton IL - email 01," e-mail message from Roy Girard (Wisconsin Dells, WI) to David G. Ball, 10 July 2009. [S948] Roy Girard, "Wages /Buckingham Genealogy - email 03," e-mail message from Roy Girard (Wisconsin Dells, WI) to David G. Ball, 10 July 2009. [S13] 1910 (April 15) U.S. Census, Banner, Fulton Co., IL, ED 64, Sheet 9A (stamped 33). From an obituary: Clifford Ball, 77, father of Virgil Ball outgoing Fulton County treasurer and former sheriff, and father-in-law of Canton Police Chief Kenneth Lindzey, died at 11:45 p.m. Sunday at Graham Hospital. Mr. Ball, who was a retired carpenter, resided at 264 S. 1st Ave. He was born Nov. 17, 1885 in Banner Township, a son of Henry and Sarah Louise (Brown) Ball, and was first married to Roxy Wages, who died in 1919. He was later married on Dec. 17, 1936, in Bloomington to Mary Cameron. She survives. 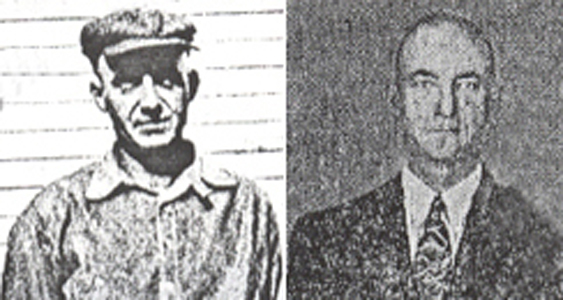 Surviving also are two sons, Virgil of 374 S. Ave A., and Lloyd R. Ball of Peoria; two daughters, Mrs. Virginia Lindzey of 295 E. Birch St., and Mrs. Edna Meacham of Rt. 4, Canton; 17 grandchildren and 23 great-grandchildren. Five brothers, Jesse Ball of Banner, Ora Ball of Albert Lee, Minn., Raymond of Lewistown, Lawrence of Fairview, and Frank of 215 W. Birch St., and one sister, Mrs. Hattie Settles of 58 W. Spruce St. also survive. He was preceded in death by one sister. Mr. Ball was a member of the First Baptist Church, of the United Brotherhood of Carpenters and Joiners of America, Local 293 of Canton.2 Photos courtesy of Roy Girard of Wisconsin Dells WI. [S12] 1900 (June 1) U.S. Census, Deerfield, Fulton Co., IL, ED 14, Sheet 6A (stamped 48). [S14] 1920 (January 1) U.S. Census, Banner, Fulton Co., IL, ED 65, Sheet 14A (stamped 37). [S15] 1930 (April 1) U.S. Census, Timber, Peoria Co., IL, ED 72-97, Sheet 6B (back of stamped 93). Photo courtesy of Roy Girard of Wisconsin Dells WI. From an obituary in the "Journal Star", Peoria, IL. : Hazel B. Ball, 87, of Peoria died at 5:58 p.m. Thursday, Feb. 24, 2005, at OSF St. Clare Home in Peoria Heights. 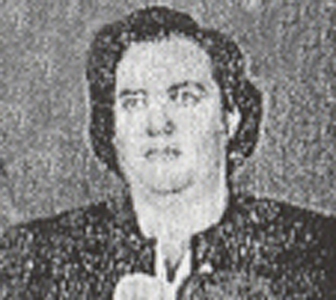 Born Nov. 22, 1917, in Dakota City, Neb., to Albert and Beulah Sarff Siltman, she married Lloyd R. Ball on Dec. 25, 1937. He died April 23, 1979, in Havana. She also was preceded in death by one brother and one sister. Surviving are one son, Richard (and Billie) of Peoria; two daughters, Judith (and Stephen) Heintz of West Peoria and Ruth (and Mark) Kenney of Peoria; eight grandchildren; nine great-grandchilden; and one sister, Larraine Nall of Havana. She worked in the domestics department at Szolds department stores for many years. [S9] 1870 (June 1) U.S. Census, Buckheart, Fulton Co., IL, p. 39 (stamped 362). [S10] 1880 (June 1) U.S. Census, Buckheart, Fulton Co., IL, ED 33, p. 25 (stamped 72). [S1830] Jay Mack Holbrook, compiler, Vital Records of Warwick, Massachusetts1739-1890 (Oxford, Massachusetts: Holbrook Research Institute, 1983), p. 46. [S985] Roscoe L Ball, compiler, Some Descendants of John Ball of Watertown, Massachusetts (Wenona IL: (unpublished), 1962). [S1830] VR of Warwick, MA, p. 106. [S13] 1910 (April 15) U.S. Census, Bloomfield, Scott Co., IL, ED 146, Sheet 1B (back of stamped 230). [S14] 1920 (January 1) U.S. Census, Banner, Fulton Co., IL, ED 65, Sheet 12A (stamped 35). [S1176] Trisha Crabtree, "Frank Henry Ball - email 01," e-mail message from Trisha Sheets Crabtree to David G. Ball, 26 September 2010. [S14] 1920 (January 1) U.S. Census, Bluffs, Scott Co., IL, ED 177, Sheet 7A (stamped 166). [S15] 1930 (April 1) U.S. Census, Canton, Fulton Co., IL, ED 29-13, Sheet 13B (back of stamped 100).